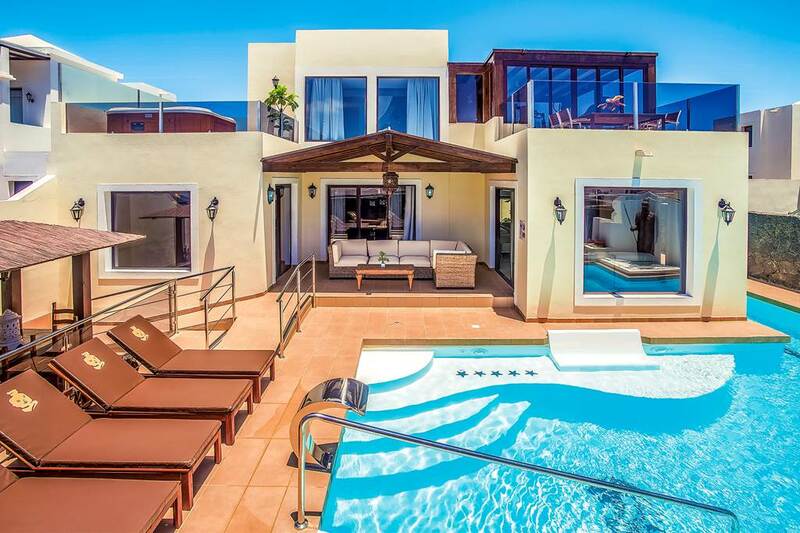 If you’re looking to spend your time in Lanzarote in complete luxury, Villa Xian is simply perfect for you. Bring your friends along – this elegant and spacious holiday home can sleep up to ten. The villa offers the finest furnishings, tasteful décor and fantastic amenities across two floors. Among the many facilities, you’ll find a private gym; large, 12.5m pool; and both a hot tub and sauna at your disposal. Child-friendly, Villa Xian has its own paddling pool and children’s play area to make sure little ones have an unforgettable holiday in Playa Blanca. There’s a built-in barbecue outdoors too, located on the stunning terrace where you’ll find both shaded and sunny dining areas. All four bathrooms either offer state-of-art hydromassage showers or a whirlpool-style bath, while all five bedrooms benefit from satellite television and air conditioning. Sleeps 8, 4 bedrooms. Includes flights, villa & car hire. Based on travel during April-June 2019.